Hello, are you an android user? Are you conversant with the fingerprint technology? Or perhaps you are thinking that the fingerprint technology is meant for just your thumb or index finger? It may astonish you to know that u can use any finger to unlock your Android device. What is Android? The big question on the minds of some Android users. Android can be defined as an open source mobile operating system used for smartphones and tablets and it was developed by Google. An operating system defined as a software that manages computer hardware and software resources and provides common services for computer programs, it communicates with the hardware and allows other programs to run. Today, I am going to show you how to add more fingerprints on android. Sometimes it is advisable to add more than one fingerprint on your Android device to enable easy unlocking and easy access. Android devices were not programmed by default to accept a particular finger or finger gesture. The idea of using mostly thumb or index is as a result of the location of your fingerprint sensor. In the real sense, you can actually use any of your fingers to unlock your device as long as that finger is added to your fingerprint database. Just sit back, relax and learn how to add more fingerprints on android. Sometimes the complaint of a non-functional or inactive fingerprint is from the positioning of fingers, the android fingerprint sensor gives you the option of redirecting your finger in different positions while capturing. So if you have experienced such difficulty, if it is not a hardware or software problem, then maybe you should just try adding more fingerprints on your Android device. 1. Turn on your Android device. 2. Unlock your device and Go to settings. 5. Input security code and tap next. 6. Tap add fingerprint and follow the on-screen command. After you have gotten to this point you will be requested to place your finger on the sensor for capturing, you have to place the fingerprint you want to add carefully and in different directions until your scanner verifies and confirms success on addition. This means that the fingerprint has been added automatically. N/B: if you delay adding the fingerprint, some scanners by default may show you an error message and take you back after a couple of minutes, so you will have to redo the whole process. 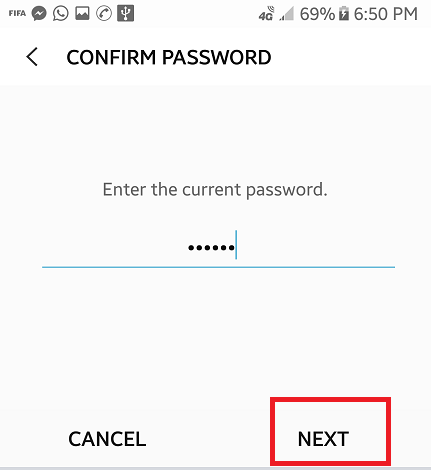 Your phone access security code is very important to be able to even access the fingerprint option it is advisable to use a code that you can remember easily. Q: How many fingers can I add to my android fingerprint. A: You can add as much as you wish, as long as the position of the fingerprint scanner is favorable for you. Q: Is it necessary to use fingerprint on my android device? A: No, usage of a fingerprint on an Android device is not a necessity but just a security option to ease you on unlocking your device.